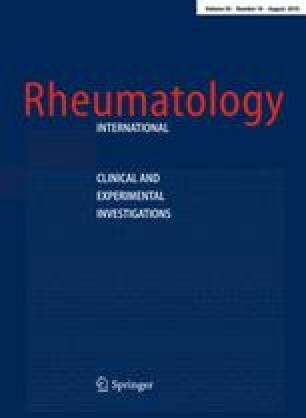 Gender may produce different characteristics in the manifestation of systemic lupus erythematosus (SLE). The present study investigated the influence of gender on clinical, laboratory, autoantibodies and histopathological classes of lupus nephritis (LN). As much as 81 patients diagnosed with SLE (ACR criteria) and active nephritis, who underwent renal biopsy between 1999 and 2004, and who had frozen serum samples and clinical data available from the time of biopsy, were selected for this study. The presence of anti-P and antichromatin antibodies was measured using ELISA, and anti-dsDNA was measured using indirect immunofluorescence. All of the renal biopsies were reviewed in a blinded manner by the same expert renal pathologist. The charts were extensively reviewed for demographic and renal features obtained at the time of the biopsy. Of the 81 patients (13.6%), 11 were male SLE patients. Both male and female lupus patients were of similar age and race, and had similar durations of lupus and renal disease. The female patients had more cutaneous (95.7 vs. 45.5%, P = 0.0001) and haematological (52.9 vs. 18.2%, P = 0.04) involvements than the male SLE patients. In addition, the articular data, central nervous system analyses, serositis findings and SLEDAI scores were similar in both experimental groups. Positivity for anti-dsDNA, anti-ribosomal P and antichromatin did not differ between the two groups, and both groups showed similarly low C3 or C4 serum levels. Our analysis indicated that no histopathological class of LN was predominant in both males and females. Interestingly, the serum creatinine levels were higher in the male SLE patients compared to the female SLE group (3.16 ± 2.49 vs. 1.99 ± 1.54 mg/dL, P = 0.03), with an increased frequency of high creatinine (81.8 vs. 47.1%, P = 0.04) as well as renal activity index (7.6 ± 3.5 vs. 4.8 ± 3.5, P = 0.02). In addition, whilst the mean levels of proteinuria, cylindruria and serum albumin were markedly altered, they were comparable between both lupus men and women. Moreover, the frequencies of dialysis, renal transplantation and death were similar between the two groups. These data suggest that male patients had a more severe LN compared to women diagnosed with this renal abnormality. Dr. Bonfa’s work was supported by grant 305468/2006-5 from the Conselho Nacional de Desenvolvimento Científico e Tecnológico–CNPq and by the Federico Foundation grant. Dr. Carvalho′s work was supported by the Federico Foundation grant.